AmaSWERY | I'm SWERY. Questions? This is a list of the most commonly asked questions out of the ones we gathered from May 1 to May 6. 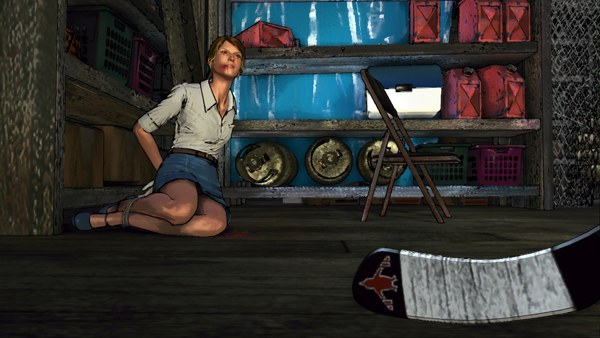 Here, we'll list up SWERY's answers to the questions that he picked out during the Tokyo Indie Fest live stream. Q. How did you come up with the idea for D4? A. It began from me thinking about how some games with good stories are hard to play. Q. Will new episodes be included in the PC version of D4? been able to play it to experience it. Q. Are you working on the next season? When will it be out? did, what kind of movie/TV show would it become? imagination she gets from that to solve cases. Q. What games have you been into lately? A. Ori and the Blind Forest. It was created by Thomas Mahler, who commented on D4. The game is really hard, so now I better understand how live streamers feel. Q. What's your favourite beer? A. When I upload pictures of beer on Twitter, people always say "Who cares about that? Q. Which are you, SWERY? A DQ fan or an FF fan? Q. Did you direct the motion capture? Everything tended to turn into overacting, so it was hard to find a way to tone it down. capture! All you're doing is making facial expressions!"